I was so prepared to be completely focused today and get everything done....haha, that didn't happen. I did mostly finish my room though, so at least all I have left to do is make copies and print out some of the posters I am still wanting to pick up. One of my absolute favorite things to do is browse tumblr for amazing quote posters. I usually print these out and just hang them on my bulletin boards, which makes the novels more accessible and exciting for students! The room at the beginning of the day, as I left it yesterday. I love all the natural light that comes in from this side of the building! So I have no idea what I'll put on this bulletin board, but I'm thinking quotes about reading along with the tumblr pictures I found. I used some old wrapping paper I found upstairs, and it fits in nicely with my color scheme! I also hung up my curtains and unpacked the "animals". Who says elementary gets all the fun? 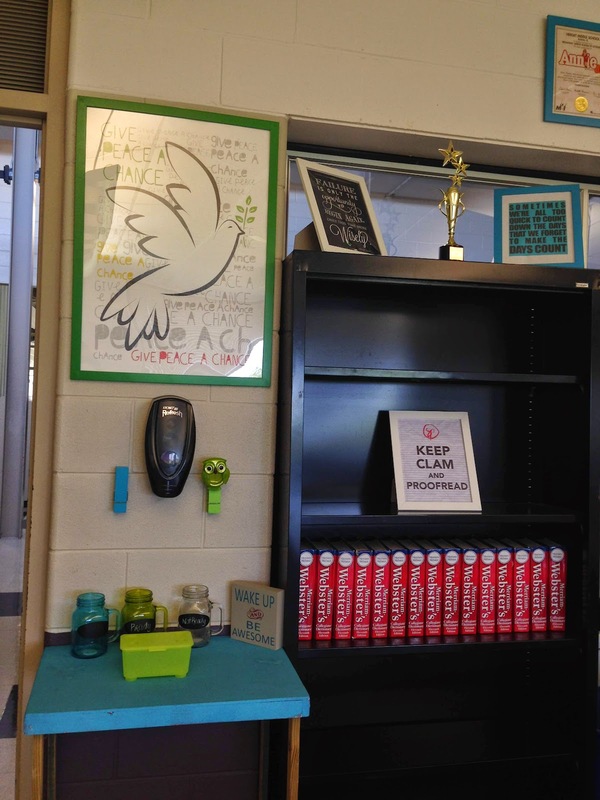 We love Skippy Jon Jones in 7th and 8th grade! My "poofs" are a little bit bigger than I was anticipating, but almost everyone who came in commented on them, so I guess they will probably be a hit! 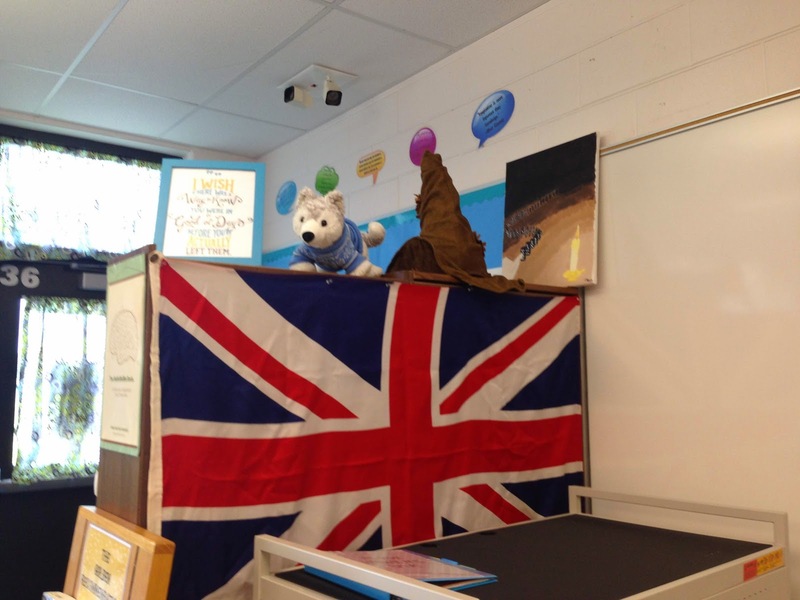 I have my good old sorting hat, an amazing painting done by a student, the stuffed husky, and a framed quote on top of the bookcases. If it ain't broke, don't fix it! I loved this set-up last year, so it is back up again! I keep all the supplies underneath, and handouts for the ISN go in the bin. 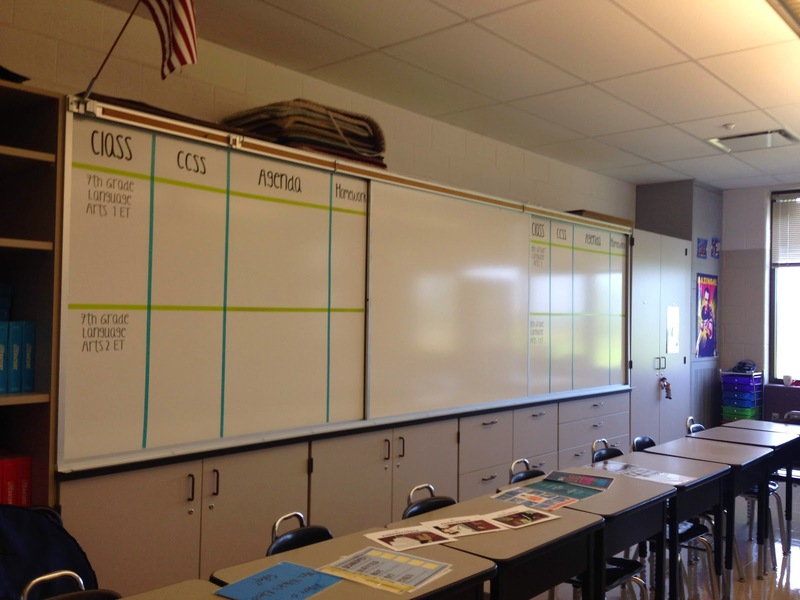 This is my "learning wall" I have my agenda boards as well as a blank middle board. 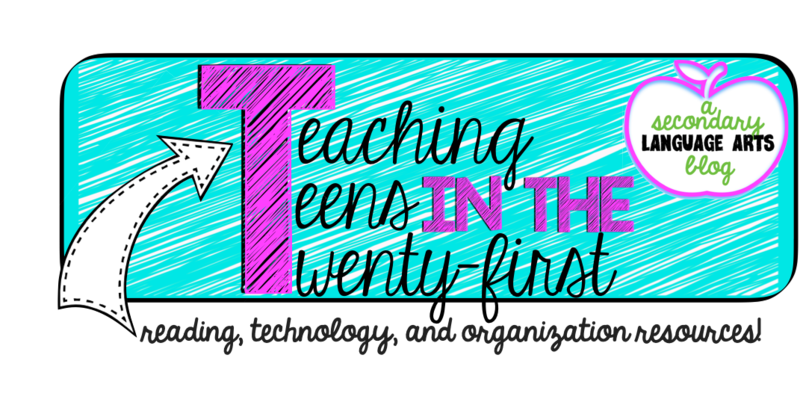 I need to change out the 8th Grade Language Arts 1 to Genius Hour, so adding that to the list! 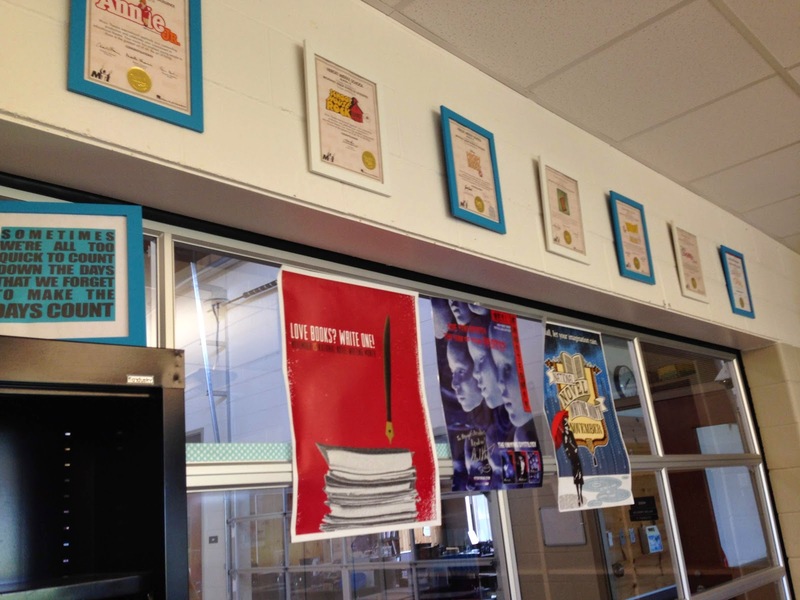 I was so thankful that the custodians let me keep these up over break, as the vinyl was a royal pain to put up last year!This is where I'm planning to keep the running list of what we've learned (Thanks, Kelly Gallagher!) and anchor charts for my Jeff Anderson lessons. It was schedule pickup today, so I got to chat with many students and parents, which was great! I'm surprised I got done as much as I did with all the socializing, but it was productive and nice to meet new students and say hello to former students! 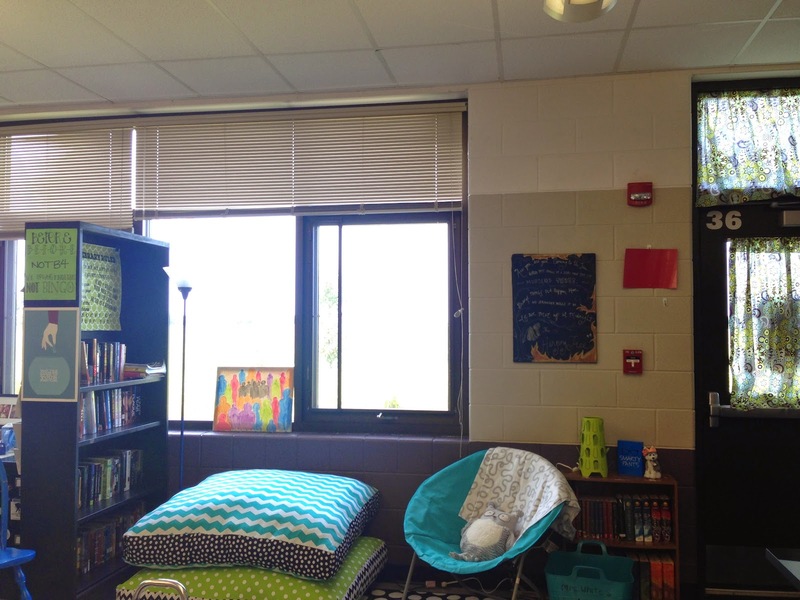 It looks like your room/year is starting to come together nicely! Good luck in finishing it and have a great start of the year! Wow! I am so impressed! 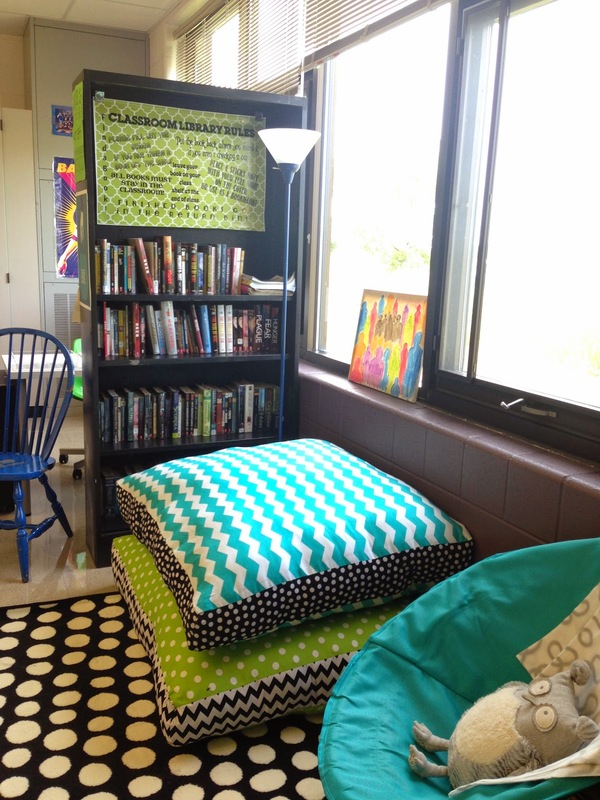 I bet your students LOVE your room - especially that reading corner. Thanks for sharing! I hope it stays cozy, thanks for the kind words! 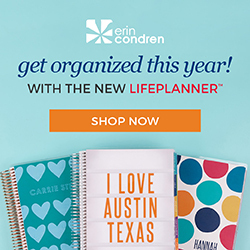 I love your color scheme and organization! 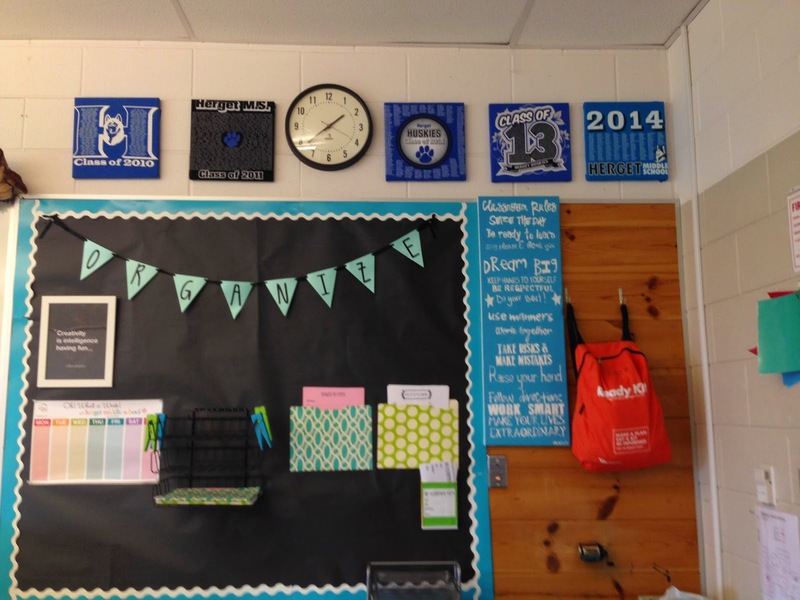 I did something similar to yours last year in my high school classroom, but I think I feel it's a bit more cluttered than I would like. So, inspired by your purpose for most things, I'm going to try to pare down a bit and find more design in purpose and less design without purpose! And I love those books - good choices!! 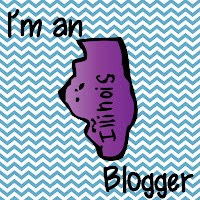 I LOVE your blog, btw! 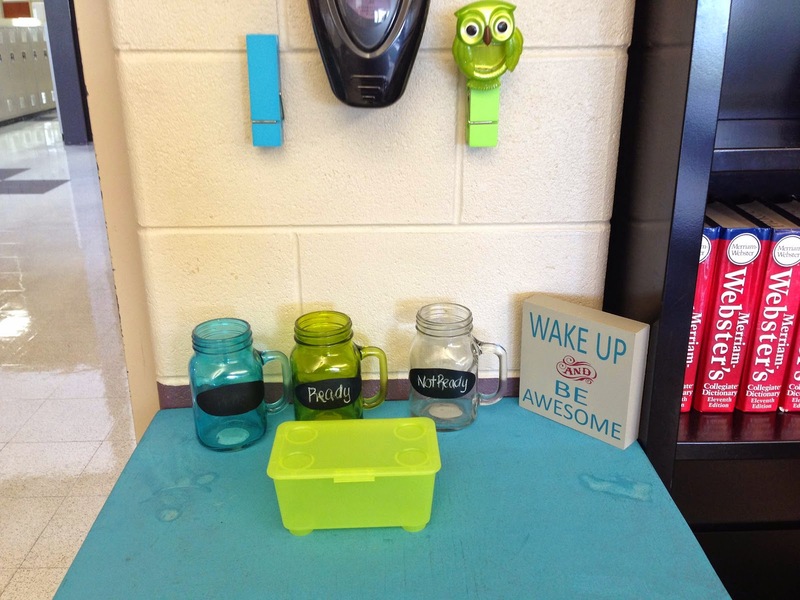 I can't wait to see pics of your room, please post! 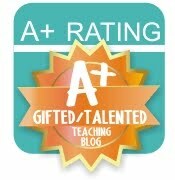 Once again, I'm gaining something from your blog to bring into my classroom. 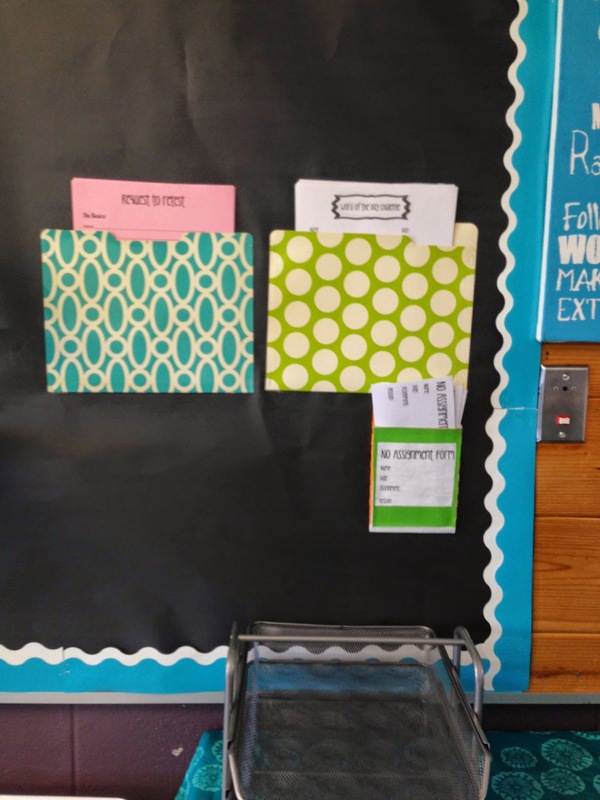 I love the folder attached to your bulletin board that holds slips for late work. I use the "pink slip". I have no idea why I had to hoard them by my desk and manually pass them out, when my eighth graders are more than capable of getting their own. 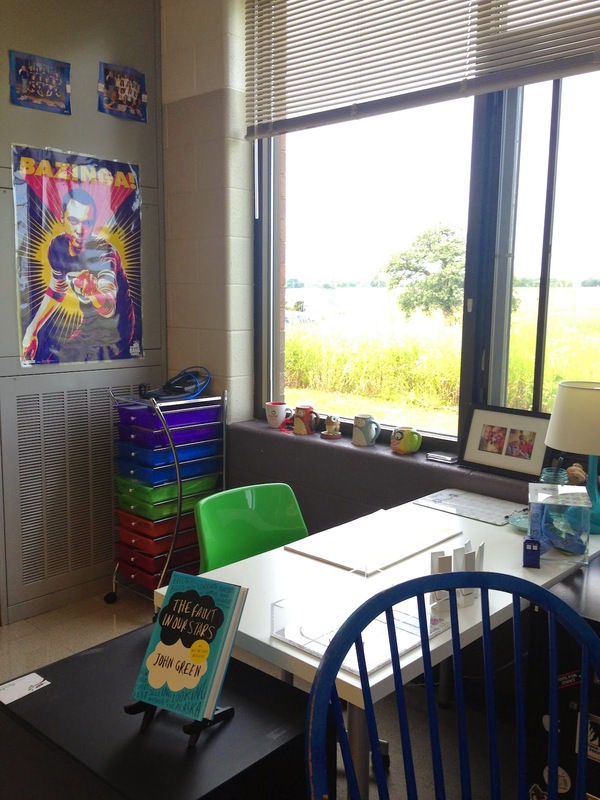 Your classroom looks great! Thanks for sharing! It is great for putting the responsibility on them! I do hold on to them until they turn in an assignment, but they have to get it and fill it out on their own! 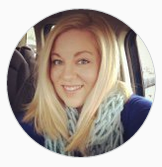 I used to be a 7th and 8th grade language arts teacher and I love your blog! (I get it by email). 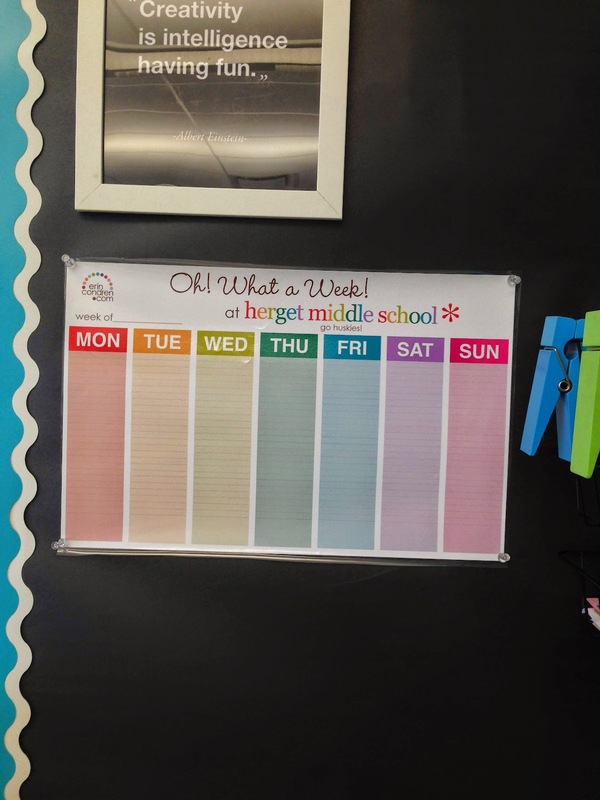 Anyway, I have a few ideas for you for what to do with your bulletin board in the classroom library. 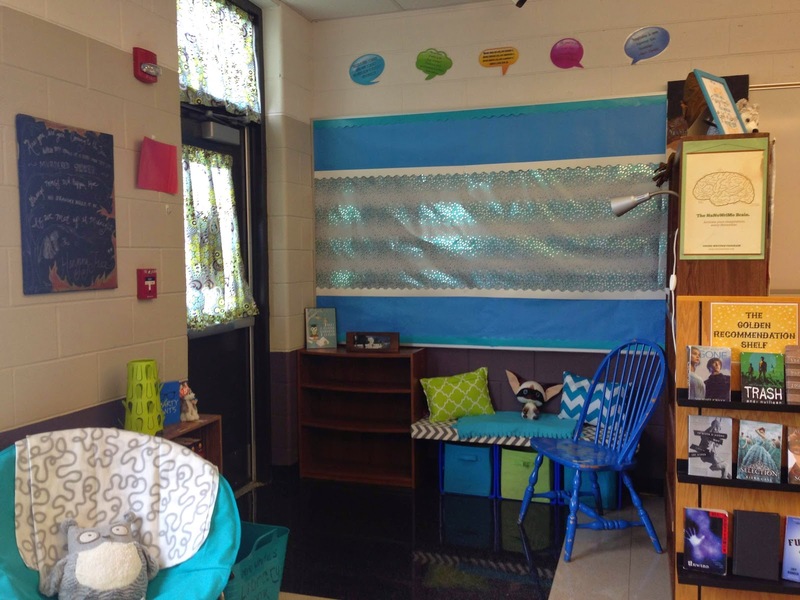 What about having it be a place for student ideas about reading? Maybe start them at the beginning of the year (first few days?) with a prompt like "Reading is..." (and throw in some review about adjectives and subject/verbs in sentences?) and give them different colored strips of paper (I personally use paint samples from Lowes or Home Depot) to write their best idea. All you have to do is put them up! 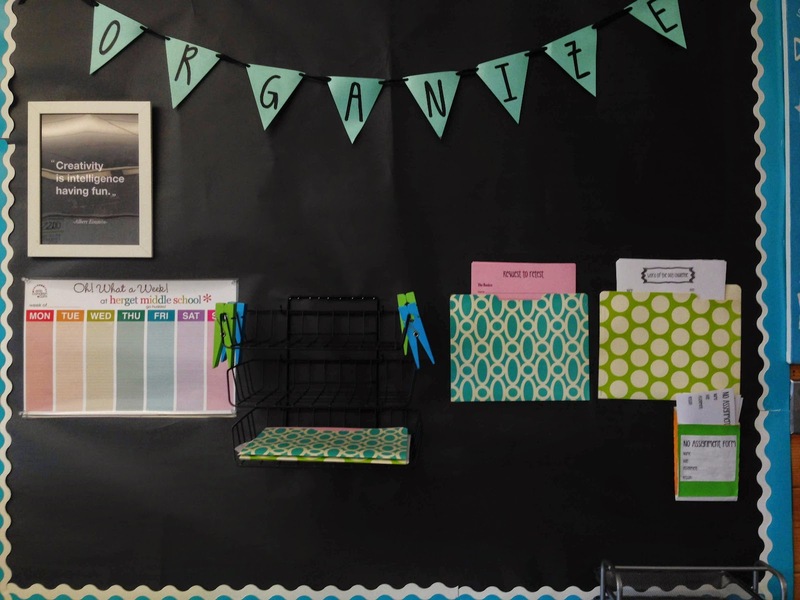 I know my students loved seeing their work on my bulletin boards, and it could be something you either leave up all year or change around (Pinterest has a million ideas!). Who knows? The kid looking to see if his/her work is up on the board may be inspired and actually pick up a book! Just some thoughts. 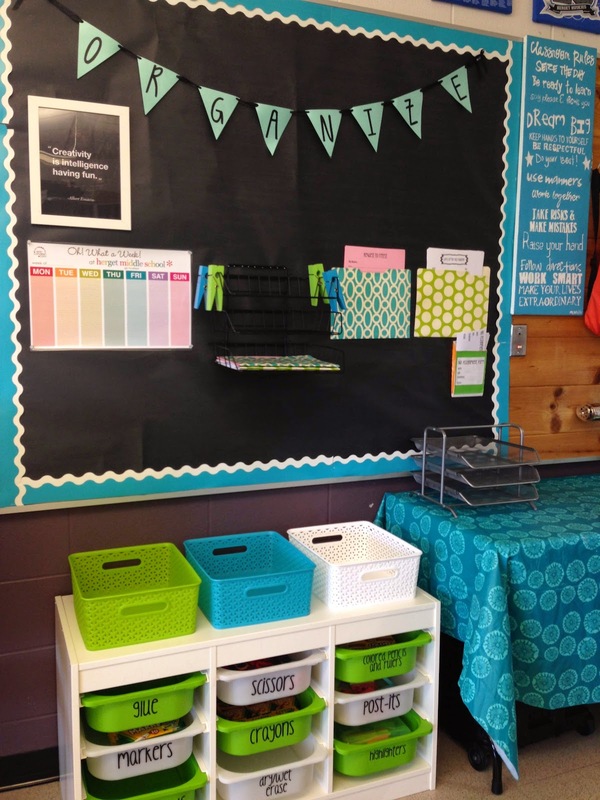 I saw that bulletin board and a bunch of ideas came to mind. Your room is coming along great! Great idea! I'm going to do the different colored index cards and the 6-sentence memoir about reading, but I LOVE that for an opening activity! It's going on my genius ideas sheet! 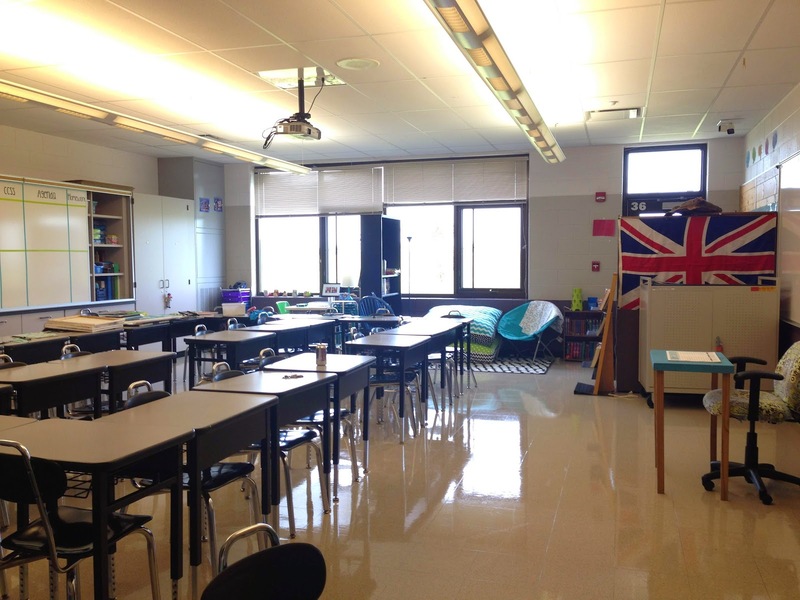 Your class is looking SO FUN! Aww, thanks! I hope so! Love your set-up! 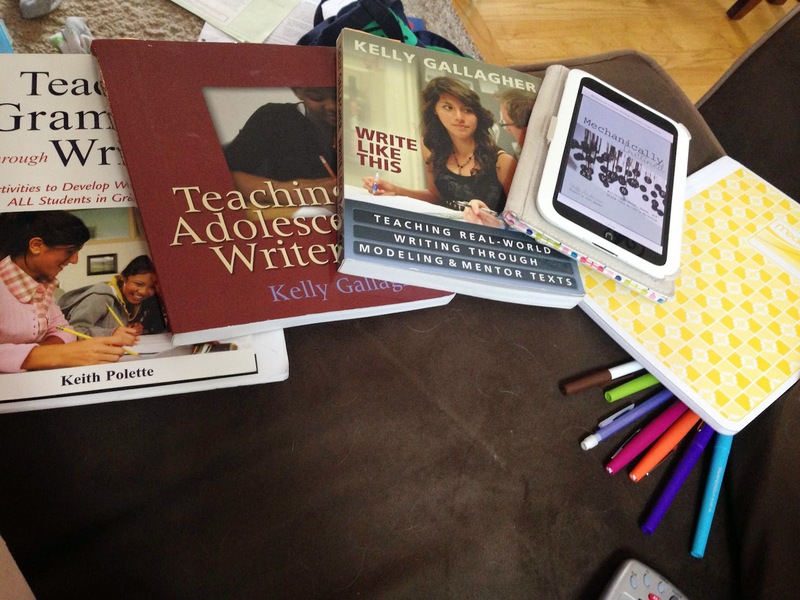 I too have Gallagher's books on my desk and plan on using them throughout the year. I read Write Like This while at the beach this summer and have notes written all through it. Now, I just have to remember the great ideas that I want to use with my students. Thanks for sharing the pictures. 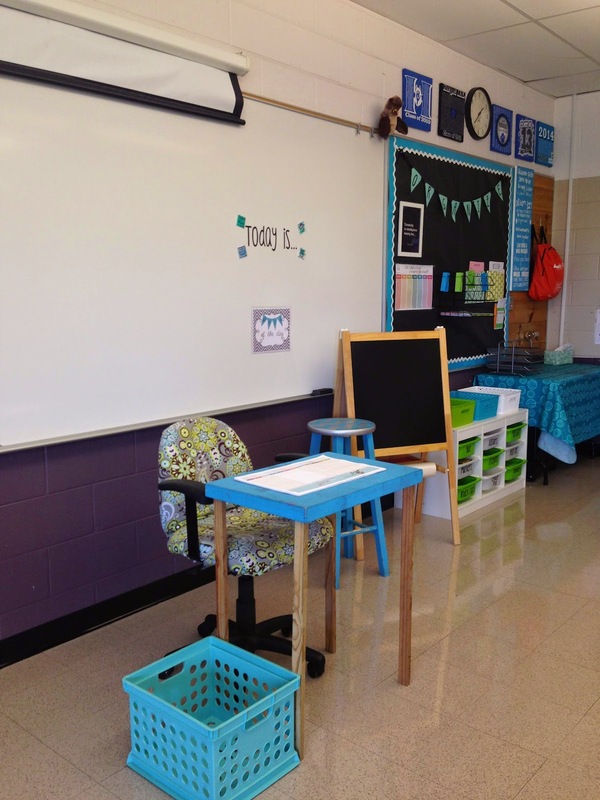 Your students will enjoy their time in your room. That's the problem with professional development books and workshops. It's so hard to remember to incorporate all the great ideas!